I used to be an avid runner before Bradley was born, but I don't think I ran more than three times in 2014. I just always came up with excuses. We live in a townhouse and our treadmill is in our bedroom, which is right above Bradley's room, so it's impossible to run while he's napping because he'll wake up. And I don't like running outside too much, so that's usually out of the question. I could go to the gym when Chris gets home from work, but by then I just want to hang out with my family. See? Excuses. I'm starting off the year with a healthy recipe in an attempt to jump-start my healthy lifestyle again. I want to get back into running and eating better, and this is the time to do it! 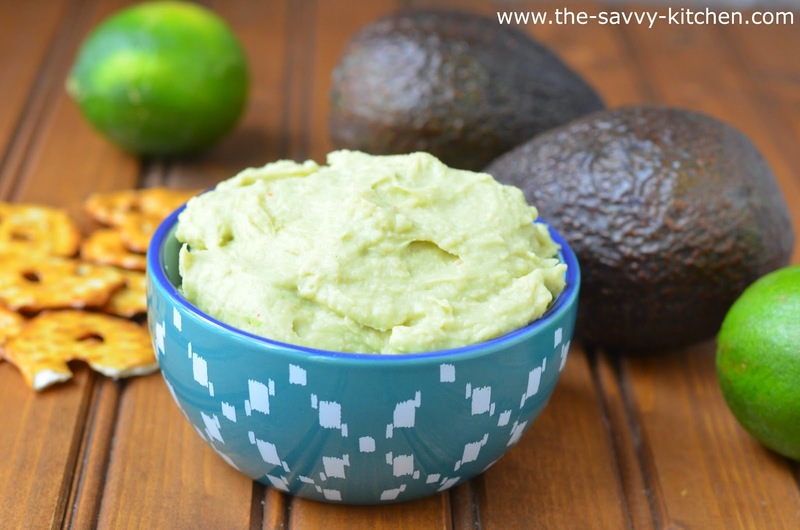 This dip is delicious and a easy mid-day snack to prepare. I usually find myself noshing on granola bars, chips or something else that is not figure-friendly, so I'm adding this to my new repertoire of snack recipes. Enjoy and Happy New Year! 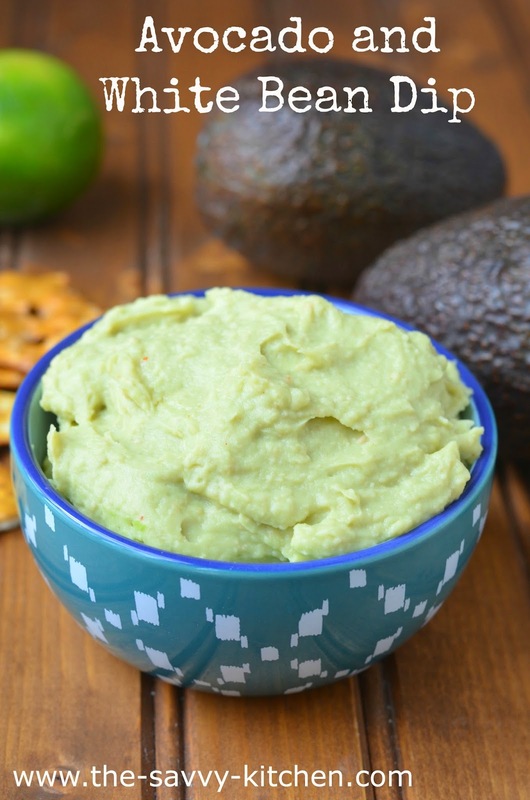 In a food processor, blend the white beans, avocado, lime juice, garlic, olive oil, salt, pepper and cayenne. Blend until well combined, about 2 minutes. Add more oil if you want to thin out the consistency. Taste and add more salt and pepper, if necessary. Serve with vegetables, crackers or chips. This sounds so good! I'm hoping to have some healthier options for the Super Bowl and this is definitely going on my list of things to try. Thanks for sharing! This sounds perfect for my next party. That may be a Super Bowl party (depending on who's playing!). Either way, I've pinned it to make soon, because it looks fabulous! I love anything white beans! This looks great! oh yum! 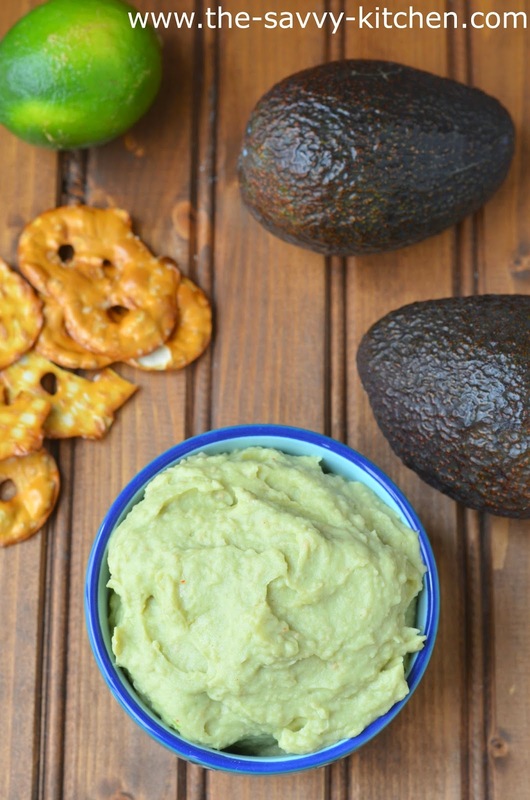 I have a white bean dip recipe that I've made for years that I just love, I've always said it was like an Italian hummus - but the idea of adding avocado sounds amazing! I will definitely be trying.